Buy One Get One Leggings For $9.99! Down From $25! Shipped! 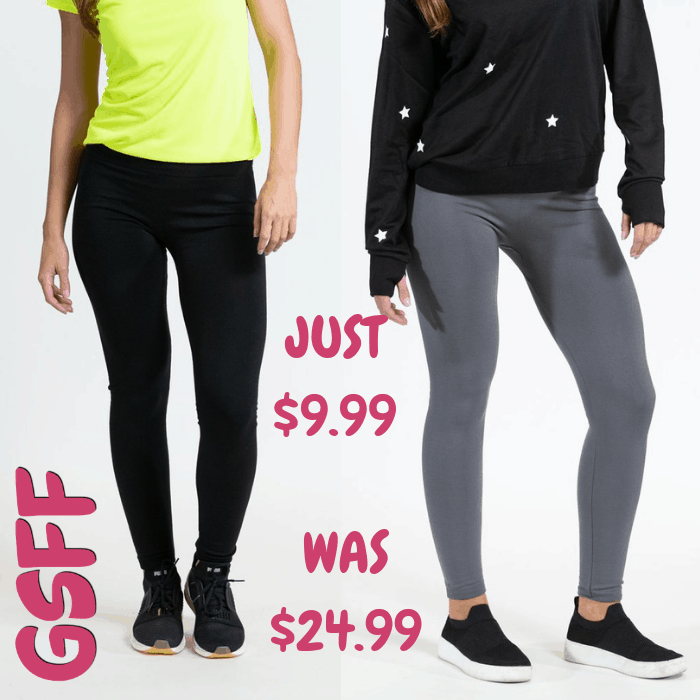 You are here: Home / Great Deals / Buy One Get One Leggings For $9.99! Down From $25! Shipped! Until December 21 only! Proozy is offering Buy One Get One FREE Leggings for just $9.99 ($4.99 each) down from $24.99 when you use promo code PZY999 at checkout PLUS FREE shipping! These True Rock Women’s Fleece Lined Leggings have a smoothly brushed fleece lined interior that make them the softest and most comfortable leggings around. Designed to add warmth and style without bulkiness.